This medieval village is situated on the slopes of a hill and has retained a great deal of its authentic charm. It is surrounded by the ruins of ancient Roman walls. 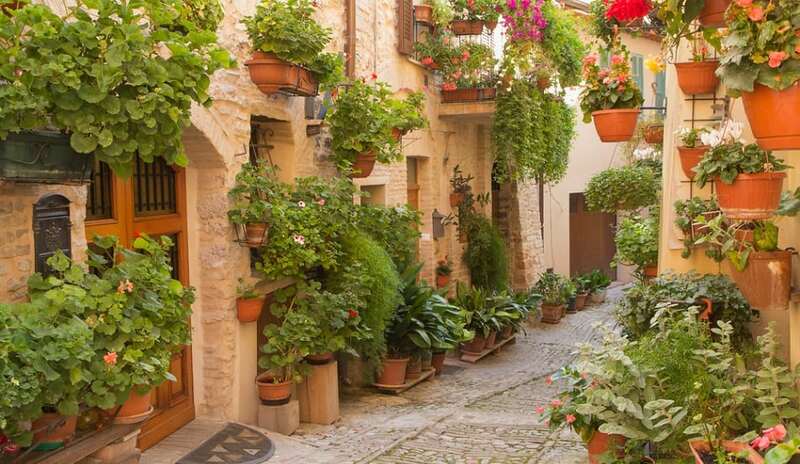 However, the narrow streets of Spello are decorated with plants and flowers.